Tear from dough small pieces. Roll dough in oval shape. 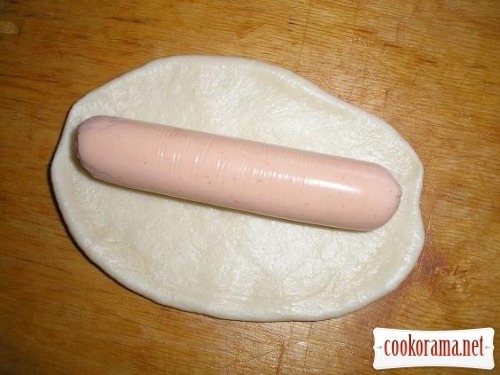 Put sausage in middle. Cut dough, as it is seen in photo. 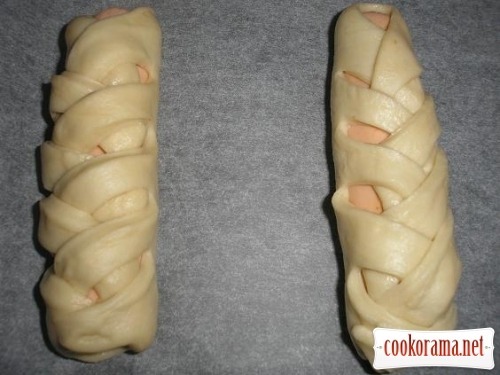 Wrap dough in shape of braid. 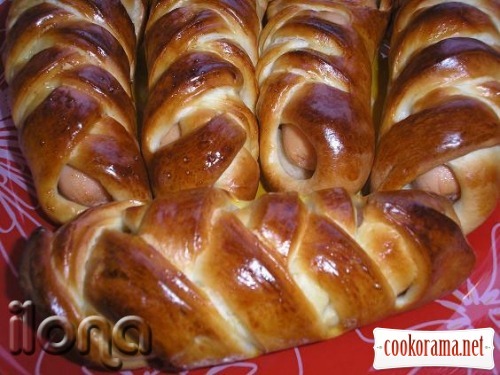 Spread sausages in dough on baking sheet, grease with mixed egg. Bake at 180℃ for 30 min. 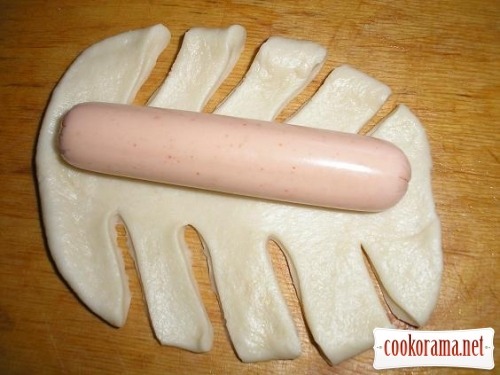 Top of recipe "Variant of sausage in dough"
О-о-о, дякую за рецепт! Дешево, сердито і, ГОЛОВНЕ, — апетитно на вигляд!